With the weather getting colder I’m definitely drinking more hot tea. Mention tea drinkers and most people tend to think of the United Kingdom. The United States, however, is growing as a nation of tea drinkers. According to the Tea Association of the U.S., from 1990-2014 the U.S. wholesale market grew from two billion dollars to more than 10 billion. Tea appears to be taking more shelf space at the grocery store and there’s an increasing number of brands and flavors. Green – high in the polyphenol EGCG, studies show that tea may be supportive against a variety of cancers as well as preventing clogged arteries and improving cholesterol levels. Black – the highest caffeine levels are found in black tea. In studies it appears that black tea may protect the lungs against damage from cigarette smoke and may even help to reduce the risk of stroke. White – Appears to have the highest anticancer properties compared to other varieties of tea. Oolong – A partially fermented black tea, this has been shown to help lower cholesterol level. Pu-erh – Fermented and aged, this tea showed benefits for lowering cholesterol and helping with reduced weight gain in animal studies. Great question. The answer, unfortunately, is that often the flavors are from artificial ingredients. Many companies list their ingredients on their website making it easy to find out what’s really in your tea. For the fruity teas (which seems to be the most popular judging by conversations with friends) although they have fruit pieces in them they also have artificial flavors. Some tea companies use “natural” flavors, but as we’ve discussed before, natural doesn’t always mean what we think it does. And then of course there’s other negative ingredients such as citric acid and maltodextrin, both of which are sourced from corn and therefore highly likely to be genetically modified. Another issue with tea is the use of pesticides however that is a rather deep topic and I’ll be covering it at another time. So what’s the answer if you want to drink flavored tea but don’t want all the additives? Tea can also be flavored with juices, extracts (such as vanilla or lemon), or fresh herbs and spices (such as ginger, vanilla, cardamom, or mint) but remember blend cautiously for balanced flavoring. In my opinion the best option is to blend your own. I typically buy my teas and ingredients at Mountain Rose Herbs. Their ingredients are organic and many of them are fair trade and ethically wild harvested. Starting with a base (black, green, white, roiboos, etc) add in your flavorants. Mix well and place into a jar. Good choices for flavorings can be: jasmine, rose, lavender, mint leaves, citrus peel, ginger, lemon, cinnamon, vanilla, or other spices. Choose just a couple of flavorings that will go together, it takes a while to learn how to make complex blends without overwhelming the base tea or creating a mish mash of flavors that are not pleasant. One of my personal favorites is a lemon tea made using a number of lemon flavor ingredients. Before I started making my own tea blends I didn’t even know that there was a green roiboos. Now it’s my favorite, I really love it. It’s not as sweet as the red and has a pleasant grassy note which I think pairs well with the lemon. When I make this tea blend I purchase all of the ingredients from Mountain Rose Herbs. Enjoy these teas hot or cold and take advantage of them as a delicious alternative to plain water (especially the decaffeinated varieties). As The Ingredient Guru I often get asked to “take a look” at a variety of products. Especially if they have good buzzwords on the label. Recently I was given a bottle of Zeal by Zurvita*. The person who gave it to me wanted my opinion; she was very excited about the product, and takes it every day, in part because of the label statements. “Gluten free”, “vegan”, “natural ingredients”, “complete nutrition”, “no artificial colors, sweeteners or preservatives”, and “an excellent source of fiber”. It’s important to note that products like these often do not have gluten. That’s because gluten is found in wheat, barley, and other glutenous grain products. The gluten free statement is merely a marketing ploy to capitalize on the desire of a growing number of people to eat gluten free. Caffeine: The label does not disclose how much caffeine is in a serving but it contains several sources. Guarana seed powder and yerba mate. The product also has green tea extract however the website says, “Green tea used in Zeal is standardized at 50% EGCG content and is considered decaffeinated because when it is processed to contain a high level of antioxidants (EGCG), the amount of naturally occurring caffeine is reduced” the guarana and yerba mate most likely do provide caffeine. Crystalline fructose: This is essentially dehydrated high fructose corn syrup (HFCS). HFCS is 55% fructose by volume while crystalline fructose is 90% fructose by volume. Excessive fructose consumption is bad for the liver. Natural flavors: As we’ve discussed before, the term natural doesn’t really mean much and “natural” flavors might not be everything they’re cracked up to be. A personal frustration with this product is how it is labeled. The ingredients are extremely small red/orange print on a brown background. This makes it very difficult to read, a choice that I have to believe is deliberate on the part of the manufacturer. I find it deceptive when manufacturers label with this type of print or grey print on a dark background. Anytime the label is not clear and easy to read I have to wonder what they are hiding. While there are a number of apparently clean ingredients in this product, it is not without negative ingredients as discussed above. The use of buzzwords on the label is something called front of package labeling and is often used by companies to distract consumers from looking further into the ingredients. Keep this in mind when reading the label and looking at new-to-you products. Just because the label says it’s a good choice doesn’t always mean that it’s something you want to consume. Ed note: Zurvita is a network marketing, or MLM, company. This article is does not address the “business” of Zurvita and is not meant to be construed as for or against these types of opportunities. 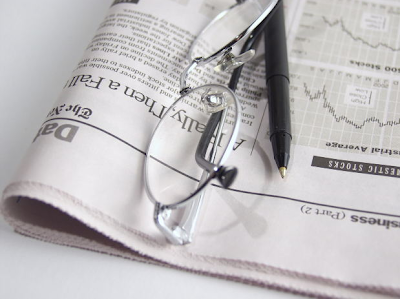 It is simply a discussion of this one product that the company produces. Southeast Paying Price For High Antibiotic Use – While overall antibiotic use is dropping, some areas of the country are not dropping as quickly as others. This is problematic as those areas tend to show higher levels of antibiotic-resistant infections (including urinary tract infections). It is important to remember that antibiotics should be taken responsibly. Only take them if you really need them, take them according to the schedule written by your doctor, and finish your entire prescription to ensure that you do not potentially breed superbugs. Fat blocking soda – Pepsi is at it again. Trying to make an unhealthy product appear to be something that might be good for you. Soda is not, is never, a healthy choice of beverage. Fat blocking soda is just ridiculous. By adding a dose of what is essentially an ingredient found in laxative Benefiber they are claiming it will block fat and help you lose weight. My prediction is that this one won’t last long. It’s kind of like the 7-up with anti-oxidants which was shut down for making nutrient claims. Looking for fat blocking foods? Eat fiber-rich foods rather than drinking a chemically concocted, empty calorie beverage. Edible deodorant – While I will be the first to tell you that many deodorants have ingredients in them which are unhealthy and should be avoided, I’m not a fan of this product. First we don’t know that it will work well for everyone as we are all bio-individual and there are no guarantees when it comes to body chemistry. Second I’m not convinced that the ingredients are going to be that great. Instead consider using the EWG’s Skindeep – Deodorant List. Water Conservation – is still in the news. As I’ve written before it’s something we are definitely thinking more about (especially in light of the letter we recently received from our utility district informing us that water rates were going up by 14%). This is an issue that is not going away and I believe will have a profound impact not only on our water but also on our food (we need water to irrigate, wash, cook, etc). Our big effort right now is looking for ways to get rid of more of the lawn. I’d love to hear any water conservation ideas anyone else has. Veggieducken – Wow, what is it with us and combined foods? It’s certainly not a new concept and is something that’s been around for ages, but lately the idea seems to be regaining popularity. The turducken (a turkey stuffed with a duck stuffed with a chicken), a cherpumple (a monstrous three cake three pie combination) and now this. I will confess this one could be a WWME food but I’m not sure I’m willing to invest all the time it would take to make one. I wanted to share this video from my friend Karen who talks for the first time about her personal journey with Crohn’s. Thank you Karen for your willingness to share and open up about your health and your condition. A friend recently posted this picture on their Facebook page. And I’ve heard a number of people talking about the “hand-spun” shakes at Chick Fil-A. I believe hand-spun means nothing more than using an old-fashioned, metal wand device, rather than a blender. However, with the words home-spun in there it sounds wholesome. And the picture, of course, makes it look tempting and delicious with a large peach right up front. The limited time only is, I suppose, there to make you feel that if you don’t get yours now you’ve missed out. Icedream (whole milk, sugar, nonfat dry milk, cream, corn syrup, natural and artificial flavors, dried whole eggs, cornstarch, mono and diglycerides, disodium phosphate, cellulose gum, carrageenan, sodium phosphate, guar gum, sodium citrate, annatto and caramel colors, artificial color [Yellow 5&6]), peaches, sugar, dextrose, water, citric acid, pectin (pectin, sodium diphosphate, calcium orthophosphate), lemon juice concentrate, salt, turmeric extract (propylene glycol, extractives of turmeric), natural flavor, ascorbic acid, annatto, milkshake base (whole milk, sugar, cream, whey powder (milk), nonfat dry milk, artificial flavor, disodium phosphate, mono and diglycerides, tetrasodium pyrophosphate, guar gum, cellulose gum, carrageenan), whipped cream (cream, milk, sugar, sorbitol, nonfat milk solids, artificial flavor, mono and diglycerides, carrageenan, polysorbate 80, mixed tocopherols [vitamin E] to protect flavor, propellant: nitrous oxide), cherry. Rather than a whole food peach milkshake we have a host of chemicals which include artificial flavors (appearing three times), colors, preservatives and other unhealthy ingredients. 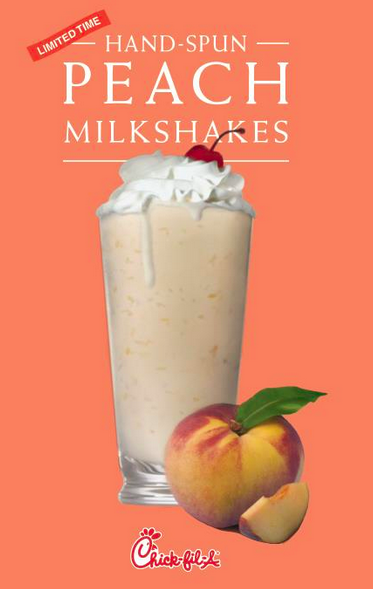 Considering that a traditional peach milkshake has ice cream (choose organic, whole fat and chemical free), milk (again organic and whole fat), and peaches (organic – to avoid pesticides), it’s somewhat ridiculous that this lab-experiment-gone-wrong is being promoted as a tasty treat. My suggestion? Skip theirs and make your own. How can a big gulp look so small? – Mayor Bloomberg’s soda ban has raised all kinds of backlash across the system. The biggest misconception put forth is that we “know” how much we are consuming. Manufacturers keep trotting forth this phrase each time they feel threatened to limited by any type of legislation that may impact their ability to peddle their product. Frequently it’s the least healthy manufacturers who complain the loudest. So now another study has been done that once again proves that our brains don’t do geometry very well. We are not accurately able to gauge how much we are consuming, instead cueing off the size of the container. This study, to my mind, confirms a study previously done with bottomless bowls of soup. We do indeed eat with our eyes, frequently over-eating because we rely on visual cues. Our Daily Bread – a slightly modified take of the work they’ve published in their book Hungry Planet: What The World Eats, Peter Menzel and Faith D’Alusio have an exhibit at the Museum of Science in Boston. It shows a wide variety of people with the food that they plan to eat for that day. The variety and circumstances are startling. It gives one definitely pause for thought. I hope the exhibit is very successful and even more that it will travel around the country, perhaps making it’s way to a museum in Houston so that I can go see it. Food Companies Concerned About Sustainability – As more consumers become more educated, more companies are beginning to listen. Realizing that they need to be aware of and involved in this issue as well if they want to sell their products. As always I propose we start with whole foods, but I do believe that sustainable practices across all parts of the food spectrum are important. Nutrition Education on Wheels – This looks like an interesting concept. Using a food truck and providing recipe cards and cooking demonstrations people are getting some ideas for how to use the food they get to make healthy, nutritious meals. This is an idea that I think could be expanded greatly all across the country. It seems to me that it would not only help people to eat healthier, but also to help avoid food waste as people often don’t use what they don’t know how to use and it sits until it becomes inedible. I hope to see more food trucks like this. EU Organic Label Now Mandatory – Well this just proves that it can be done. It can’t come to our shores fast enough in my opinion. I even like the symbol they chose. I use a LOT of onions in my house. I’ve tried to grow there but here in my hot, piney woods garden they have not done well. Out of two onion sets I got one reasonable size onion, yes, one onion. The others all seemed to melt and disappear into the garden. I’m still not sure how that happens but I’ve decided that, for now, growing onions is not for me. I continue to use them as they are flavorful and a great, healthy way to punch up your recipes but, for now, I’m still buying instead of growing them. As a good source of vitamin C onions also provide a lot of phytonutrients. They are considered to be beneficial for heart health and are also anti-inflammatory. Using them can be a challenge however as chopping a spherical object into nice tidy dices or even slices isn’t always easy. Learning the proper way to chop onions is a handy skill. Here’s a great video demonstrating how to do it.